Johnson & Co, Solicitors, Cork is a leading Cork City law firm with a fresh, energetic outlook and approach. Our practice combines experienced knowledge and expertise with an efficient, friendly service for individuals, businesses and the members of businesses. Our Practice was founded in 2008 and continues to grow on the basis of a client-focused service, which is of the highest of standards. As a Cork-based firm, we are large enough to represent clients in complex and sophisticated matters, yet small enough to be very responsive, providing proactive advice. Our solicitors are experienced and extremely motivated. They’re willing to go beyond their traditional role and do whatever it takes to get results. No matter what your legal need, we’ve got a solution. Daniel graduated with Honours from University College Cork with a BCL in 1994 and was admitted to the Roll of Solicitors in 1998. He practised in Dublin for 7 years in a wide range of legal areas before commencing practice in Cork in 2005. 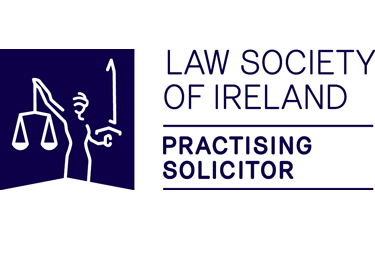 Daniel established Johnson and Company, Solicitors in 2008 and is a member of the Employment Law Association of Ireland, Cork Chamber of Commerce, the Law Society of Ireland and the Southern Law Association.